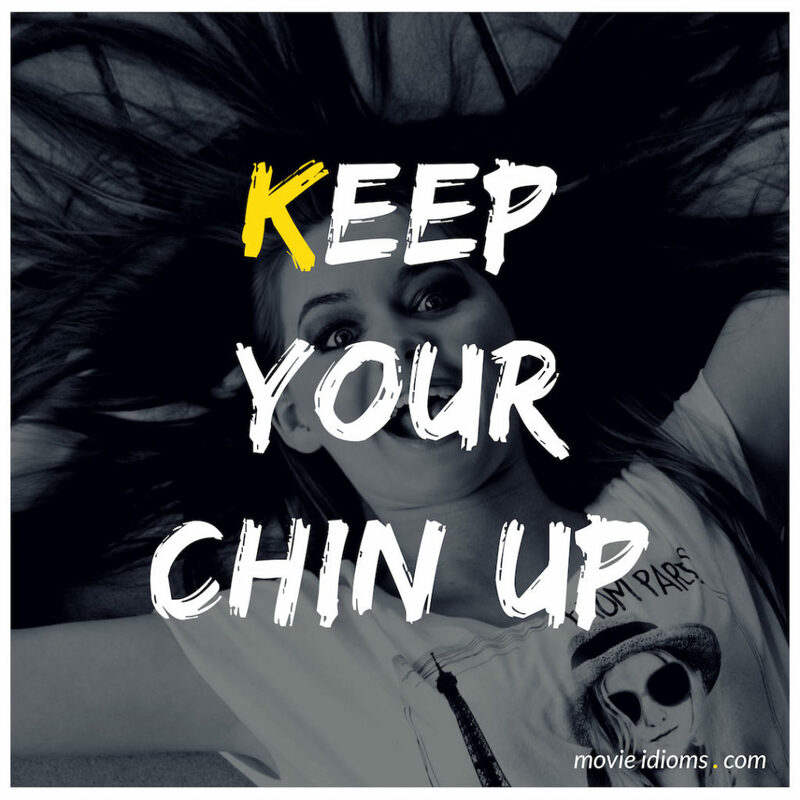 What does keep your chin up mean? Harry Block: Keep your chin up. You know she wanted to give you some, don’t you? Harry Block: Getting barbecued like baby back ribs? It’s all foreplay, baby. Ira Kane: Oh we’ve been hit! Molly Solverson: You keep your chin up Gus Grimly. We’re winning this thing. Don’t you forget. Alan Parrish: What, are you crying? You don’t cry, all right? You keep your chin up. Come on, keep your chin up. Crying never helped anybody do anything, okay? You have a problem, you face it like a man. Hey hey, I’m sorry, okay? Twenty-six years buried in the deepest darkest jungle, and I still became my father.